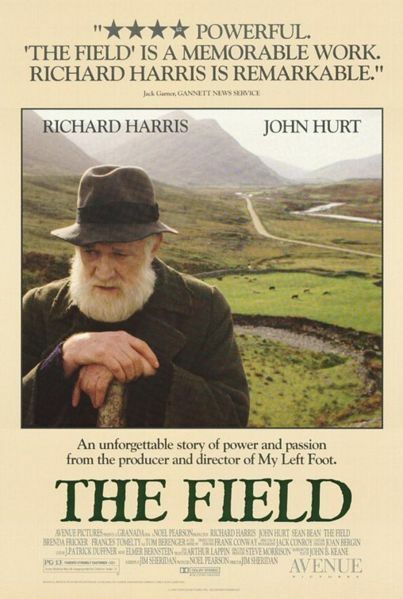 ‘God made the world, but we made the field.’ So says The Bull McCabe in John B. Keane’s The Field, made famous by Jim Sheridan’s 1990 film starring Richard Harris. It tells the story of an Irishman who has spent years of back-breaking work improving the field he rents from a local widow, only for it to be put up for auction and potentially sold from under him. The Bull’s obsession with the land leads him down a path that ends in tragedy. The Irish people have an indelible connection to the land, stretching back centuries to the days of the tuath, an area of territory controlled by a tribal group in early medieval Ireland. This direct connection with the land has perhaps grown stronger given the severing of the link that took place as a result of the Elizabethan, Cromwellian and Williamite wars of the 16th and 17th centuries, a process which culminated in the disastrous events of the 19th century when the Great Famine forced over a million people to emigrate. The Irish diaspora still share a great sense of affinity with the ‘old country’, the land of their ancestors. We often forget that mass emigration from Ireland is a feature of the last 200 years, in the human history of an island that stretches back over nine millennia. 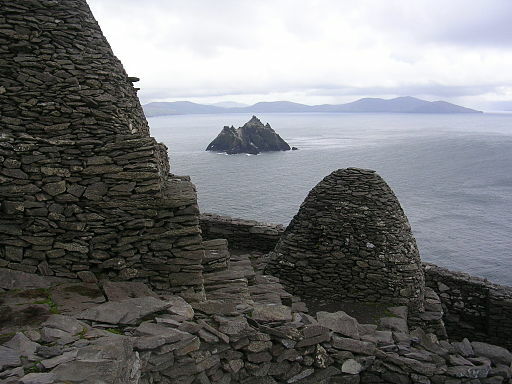 As a result the entire Irish diaspora are part of a lineage responsible for the creation of the majority of archaeological monuments in the Irish landscape. An Irish-American from Boston has the same ancestral connection to Newgrange and Tara as any native of Co. Meath; an Irish-Australian from Perth can share the appreciation of their forebears’ building skills at Gallarus Oratory and Skellig Michael with any Co. Kerry local, and an Irish-Canadian from Toronto has as much right to marvel at their antecedent’s creativity in producing masterpieces such as the Ardagh Chalice and Book of Kells as anyone born in Ireland. The cultural heritage of the island should be regarded as being in shared ownership. To put it in terms the Bull McCabe might appreciate, everyone in the Irish diaspora can rightly claim to have ‘made the country’. Although those still living in Ireland are the caretakers of its physical archaeological and historical monuments, this heritage is only being rented by the current generation on behalf of all the Irish across the world. Know Thy Place is a new concept in self discovery. We offer personalised archaeological research to everyone, giving you a fresh outlook on your Irish Heritage and an insight into the exact place where you came from.